Consultation - HELLO, my name is Scott! 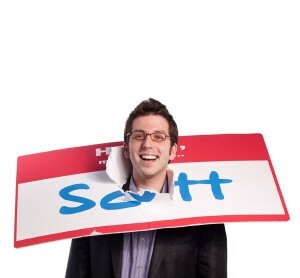 "What can I expect when I work with Scott one-on-one?" 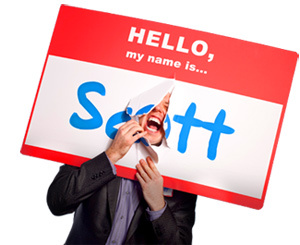 SINCE 1999, SCOTT GINSBERG HAS PROFITABLY CREATED...30 BOOKS, 7 MUSICAL ALBUMS, 3,000 ARTICLES, 600 SPEECHES, 88 TRAINING VIDEOS, 2 FULL LENGTH MOVIES AND A GLOBALLY RECOGNIZED BRAND. ...WHAT IF YOU COULD BECOME THAT PROLIFIC? 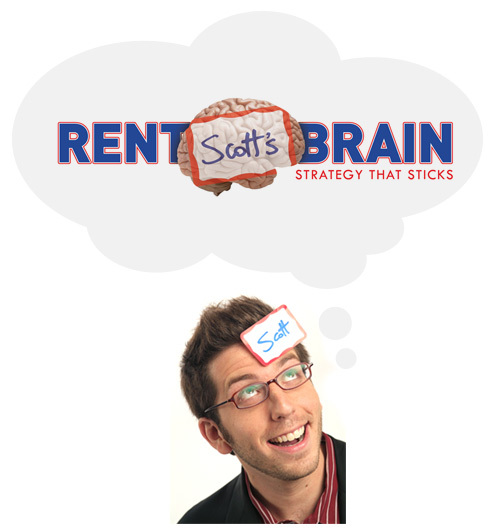 Rent Scott's Brain is part mentoring, part coaching, part consulting, but all strategy. Whether in person, via phone or another digital channel, Scott will teach you strategically, i.e., how to position your brand, how to build your own leverage and how to convert business opportunities; and also tactically, i.e., how to eliminate creative blocks, how to execute your ideas and how to become more prolific. If you're a writer, artist, creator, thinker, leader, entrepreneur, publisher, teacher or performer, this program is for you. Reach out to inquire about fees and availability. Download a program brochure here.